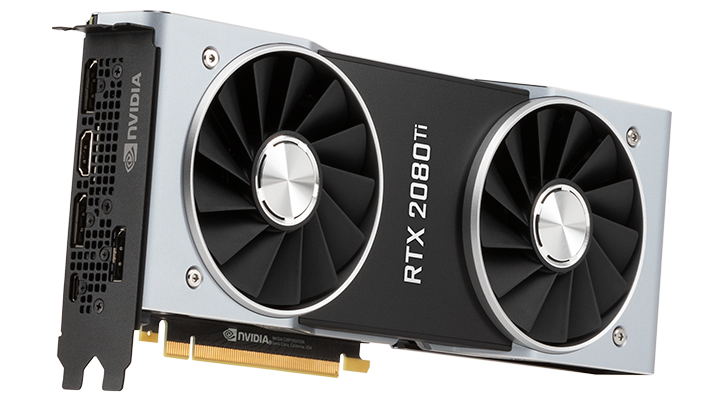 Everything you need to know about Nvidia's RTX Series graphics cards is now out in the wild. You've read all about the forward-looking Turing architecture, you've pored over our in-depth benchmarks, and most have come to the same conclusion; these are the best GeForce graphics cards ever conceived, though they don't come cheap. It is going to be fascinating to see how it all pans out in the weeks and months ahead, but for now let us gauge your early opinions by asking simply: are you buying a GeForce RTX? Share your reasoning, for or against, using the comments facility below. Entire new rig inbound after Intel release 9th gen CPU's. The 3770K and GTX 970 are starting to struggle a bit now. 5 Years is probably the longest I've kept a system. She's done well. I will skip this generation of GPUs and perhaps many more to come due to mainly the price increase combined with minimal performance increases is simply not worth investing in for the average PC enthusiast. My current GTX 1080 is still doing fine at 1440p and I think it will be good for a couple more generations of GPU's. I think my personal purchasing habits with Gpus will move inline with my CPU ones. I had a Sandybridge cpu until recently as the performance gains had kind of plateaued over the years. So maybe my next gpu purchase will be in 5-7yrs time unless the Redteam release something that performs nearly the same but at a reasonably affordable price in which i wouldn't hesitate in switching to their cards. If I was to buy a graphics card for ~£1250 then I would expect to run games at 3840×2160 max settings with decent morphological antialiasing and get 1% lows of 98 fps in a sizeable majority of graphically demanding games currently released. In other words, I would expect to max out DisplayPort 1.4 for 4K HDR gaming. For games that fail that test, I would expect to hit close to a 98 fps average with a 1% low greater than 60 fps unless the game is poorly optimised or CPU bound. These may be tough targets, but that is a lot of money. If that was 754 mm2 of pure graphics card I think these targets would probably be doable too. Besides, if the graphics card cannot do that today then where will it be in 12 months? So in the Hardware Unboxed mega review I saw benchmark results at this resolution for 31 games. Eight passed the first test and five more passed the second. Of the 17 games left, the 2080Ti failed to get a 60 fps average in five. As for the 2080, that gives us last year's performance at a higher price - only with less VRAM and less VRAM bandwidth. Better hope DLSS turns out to be really really good.